From 11-13 July 2018, the NCBI will help out with a Data Science hackathon on the Northwestern School of Medicine Campus in Downtown Chicago! The hackathon will focus on genomics as well as general Data Science analyses including text, image and sequence processing. Read through the exciting scientific line-up heading to Chicago! 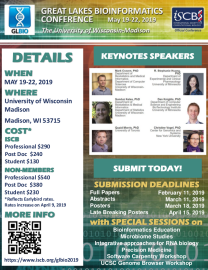 -ISMB Program- Join us to connect, engage, and inspire! 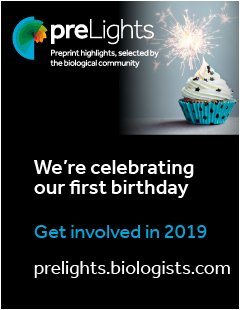 VIZBI 2019 - Save the Date! The 5th EMBO Workshop on Visualising Biological Data, which marks the 10th anniversary of VIZBI, will take place in Heidelberg, Germany, at the EMBL Advanced Training Centre from 13 to 15 March 2019. 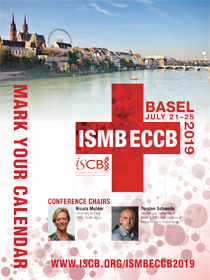 The full program and registration information for this ISCB Affiliated meeting will be announced shortly. Looking for a Position in Bioinformatics? Mark your calendars for the ISMB 2018 Career Fair on Monday, Jul 9th at 12PM in the Exhibit Hall! Meet with representatives from numerous companies and universities! Join us to promote your university's degree programs or open positions within research laboratories! The fifth CAGI (Critical Assessment of Genome Interpretation) conference will be co-located with ISMB in Chicago from 5-7 July 2018. We invite ISCB members to hear the latest assessment of computational methods for predicting phenotype information from genome variation. 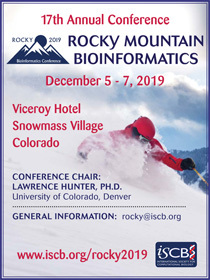 There is a 10% registration discount for ISCB members, and CAGI registration confers a $50 discount for ISMB registration. Space for observers is limited. 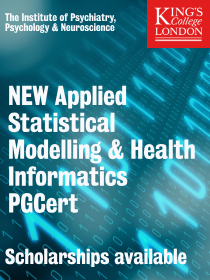 Learn more about CAGI at https://genomeinterpretation.org. ISCB Art in Science: Deadline - June 23!